Every season herbicides get applied to crops and often the assumption is simply that the products worked, and worked at 100% efficacy. The reality of our herbicide applications is that we often fail to understand where they worked, how well they worked or why they didn’t work. Some research has shown that if there is as little as 4-5 wild oats/m2 in a cereal crop yield losses can be around 5% due to decreased plant stand, nutrient uptake and water losses. Some basic math on a 50bu/ac wheat crop tells us that can equate to a yield loss of 2.5bu/ac (50*5%=2.5) and at $6.00 wheat, that means $15/ac in lost revenue! 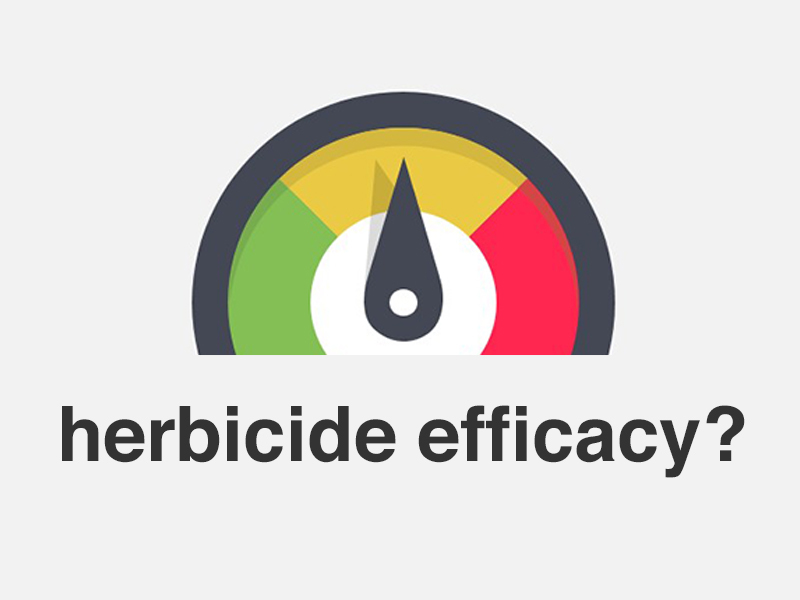 Turning those losses into profit can make significant differences on your farm, but how do you effectively monitor and manage herbicide efficacy? Here are some basics to get started on. The most significant way to increase your awareness of herbicide effectiveness is by being out in your fields and understanding the weed species spectrum, the size of the weeds, and the density. If you have a hired agronomist be sure to see if they are documenting this information accurately. This foundation sounds overly simplistic, but it is a significant downfall of many farming operations. Species and size are the keys to choosing the right chemical options, but density means there may be other agronomic issues at play. 4. ground truthing to see if soil characteristics in that area are actually variable vs. other parts of the field (eg: certain weeds have affinities for different nutrient levels in soil and can persist more in certain areas). This information is going to work best for you if you are using a scouting app or farm management program that allows for record keeping and GPS referencing. All of the information presented thus far can be recorded in a scouting platform and used to effectively manage herbicide issues in the future. For example, understanding where the density is highest, putting it into your scouting platform and then going to do weed counts in that area afterwards can give you more insight into just how effective that chemical is or isn’t on a those weed, can allow you to see if you need to do resistance testing, and can also allow you to follow yield monitor data to see just how much those weeds hindered yield in that area. Scouting records in conjunction with herbicides application details can also give you the information you need in the case of a chemical failure: the date, conditions, tank mix order, amount of product used per tank, water volume and more should all be put into your app to keep your records straight. What about herbicide resistance? The management of weeds and herbicide resistance with a proper rotation needs to be constantly monitored and it all starts with taking advantage of record keeping. There are always opportunities to make better management decisions. Developing a strategic approach to record keeping can significantly improve the profitability of your farm business.